School is back in session, at least in most of the country it is. That means one thing on this blog, time for some SuperDraft and college soccer talk. I love this time of the year, mostly because the weather changes are great around Dallas but mostly because the college soccer season is kicking off. 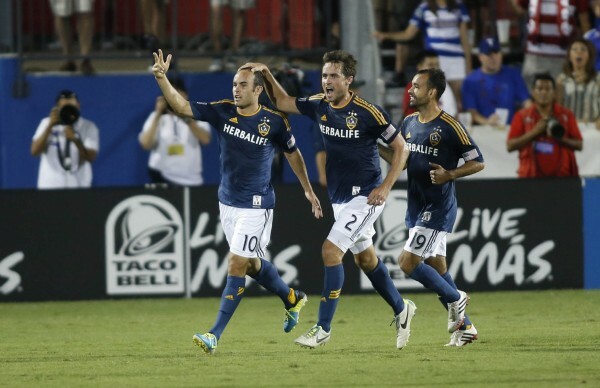 It is a perfect storm of MLS playoff push and early season college soccer. I love it. I wanted to kick off this season’s coverage with a short watch list of players that could be big impact players for their schools this season. Now, I do want to point out that this doesn’t mean they’ll be SuperDraft picks come January. Some are Homegrown players for various MLS teams, while others may stay in school for another year or two. Steve Neumann, Sr., F/M, Georgetown – This is one name that some folks should remember from last season. Neumann helped the Hoyas reach the College Cup finals and was a big player for that team. He finished last season with 10 goals – including a hat trick in the NCAA semifinals against Maryland – as well as 13 assists. In other words, the kid is a stud on the field. Boyd Okwuonu, Jr., D, North Carolina – The FC Dallas academy alumni is set to have another monster year for the Tar Heels. He helped UNC post 17 shutouts last season. Yes, 17 shutouts. He is one to keep an eye on for FC Dallas fans too, as he’ll likely be one of the next Homegrown players signed by the club. Andre Blake, Jr., GK, Connecticut – Blake was probably the one keeper that could have come out early last year and been drafted in the SuperDraft. He’s good, in 47 starts for the Huskies, he has posted 27 shutouts. He does have a tendency to lose himself in the game but he will have to step up this season in a new conference (AAC) and with three graduated defenders in front of him. Patrick Mullins, Sr., M/F, Maryland – Mullins is another guy that could have come out early last year and been drafted very high in the SuperDraft. He nearly did but opted for his senior season instead. He’s a reigning first-team All-America selection and a finalist for the Hermann Trophy in 2012, is widely viewed as the best player in college soccer at the moment. As he goes this season, so will Maryland. Nikita Kotlov, Sr., M, Indiana – Most people know Indiana and what they accomplished last season because of Seattle rookie Eriq Zavaleta. But Kotlov had the game-winner in the title game when it mattered most and will be the guy this season for the Hoosiers as they look to defend their title. 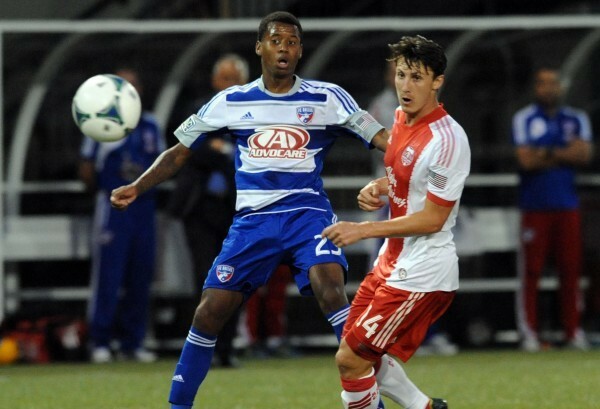 Sebastien Ibeagha, Sr., D, Duke – The Houston Dynamo academy product is a big force in the Blue Devils defense. He nearly signed with the Dynamo last year as a HGP but another year in school was probably what he really needed. He won’t get a ton of press due to his position or the fact that Duke isn’t a top 25 team in some folks eyes. Chris Ritter, Sr., D, Northwestern – The Defender of the Year in the Big 10 opted to return to school as a fifth-year senior. Northwestern relied more in 2012 on their defense with Ritter than their offense. I’d expect more of the same out of the Co-Big 10 Champions in 2013. Mamadou Doudou Diouf, Sr., F, Connecticut – He’s been a fixture in the Huskies’ attack for years now. After Carlos Alvarez graduated and went to Chivas USA, Diouf will now need to prove he can carry the load for UCONN. 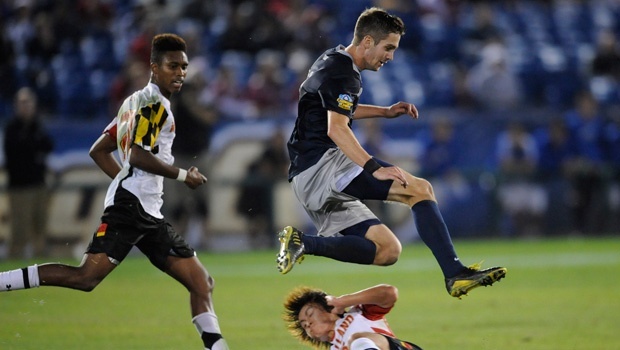 Brandon Allen, So., F, Georgetown – The Red Bull academy forward has done well for himself these last couple of years. He had a great freshman year with the Hoyas and will certainly be a big fixture in their 2013 campaign. Michael Ambrose, So., D, Maryland – Another FC Dallas academy guy, Ambrose is a solid outside back that has next-level ability written all over him. He trained this summer in Sweden so don’t be shocked if he has a good year and FC Dallas opts to sign him early. If an MLS academy player decides the college route, does the team hold his rights for all 4 seasons but can sign him at any point? How often do academy players choose the college route? MLS teams retain the player’s rights up to the point that they opt not to sign them. Both DC and Chicago had a couple HGPs that could have gone to them before last year’s SuperDraft but they opted not to sign them so those players went to the SuperDraft and signed elsewhere. But yes, they can sign a player through their system at any time. FC Dallas did so earlier this year with UNC midfielder Danny Garcia. We’re seeing more and more academy players go the college route. Only the rare special players go from the academy straight to the first team. Is MLS Ready For A 4th DP Spot?